THRIVE® IS A UNIQUE HOLISTIC, NON-12 STEP PROGRAM! THRIVE is a unique holistic, non-12 step program for overcoming chronic relapse. 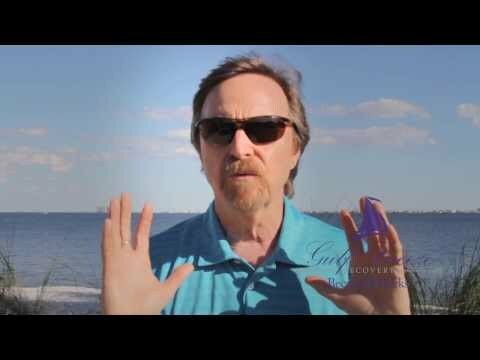 How and why we developed THRIVE, our Total Health Recovery program. The THRIVE® Total Health Recovery Program was developed by a team of addiction recovery experts who wanted to help people understand the true underlying cause of their addiction problem rather than band-aid their feelings of discomfort with the routines, rituals and doctrine of traditional treatment models. The team also focused on the unmet needs of those who were suffering with chronic relapse. Inspired by the Three Principles of Psychology (Mind, Thought and Consciousness) they determined to create a program that would represent a paradigm shift in the current model for addiction treatment to a more effective method. Joe Bailey noted author with over 40 years of clinical experience in the field of addiction. In Joe Bailey's books: "The Serenity Principle: Finding Inner Peace in Recovery" and "Slowing Down to the Speed of Life: How to Create a More Peaceful, Simpler Life from the Inside Out," he shows those in recovery how to tap their own source of positive energy in a search for serenity. Non-12 Step Recovery That's Based on Wellness, Resiliency, Love, and Compassion. With a non-12 step approach to recovery, instead of looking at all the ways an individual needs to fix something that is wrong, the THRIVE® program gently points people back to themselves and their inner health that has always been there but may have been covered up due to active addiction. This process helps them awaken to the real possibility of finding true serenity and happiness without the need for drugs and alcohol. Those participating in the program will begin to recognize their true resilient nature. They will also come to find that feelings of weakness are brought about by addictive thoughts that can be recognized and made powerless. These thoughts can last for only a moment once we understand their true nature, and we can decide how to respond or choose how to act on them. We can then let these negative thinking patterns pass and instead move to our next, positive experience. Listen to our guest's unscripted testimonial videos. Watch our live streaming webcam. Once individuals take part in a non-12 step, holistic method for addiction rehabilitation, even if traditional, 12-step models have not worked, the difference can be impressive. 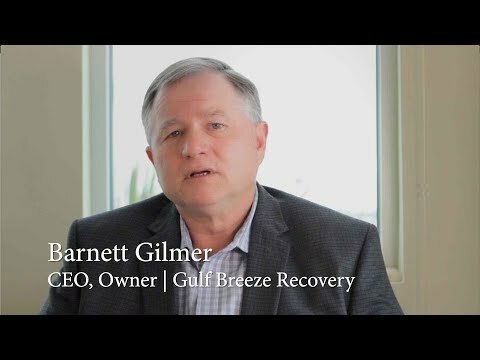 At a non-12 step recovery facility like Gulf Breeze Recovery, we work to provide an environment that is encouraging to the education and recovery of our patients. By working alongside our residents, through a system of courses and lifestyle engagement, our goal is to provide the foundation from which they can find a peace of mind and the ability to move beyond being a victim of addiction. Give yourself permission to be happy again! Thrive® Is a Unique Holistic Non-12 Step Program. Our non-12 step treatment program is a solution to chronic relapse.